One by one, the biggest names in African mining are getting squeezed. The tactics might be blunt, but the message is clear: the countries where they operate want a bigger share of the proceeds. TOKYO (Reuters) – Rio Tinto (RIO.L) (RIO.AX) expects the global iron ore market to stay balanced through 2019 despite a likely moderation in steel demand growth in China, the world’s biggest steel consumer, a senior executive said on Friday. 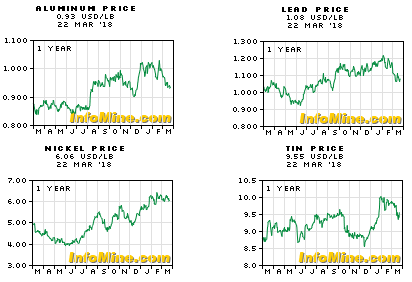 “I think the iron ore market is pretty well balanced…We don’t see remarkable change in supply and demand balance through 2019,” Chris Salisbury, chief executive iron ore at Rio Tinto, told Reuters in an interview. Rio, the world’s second largest iron ore miner, expects solid demand for the steel-making ingredient, especially for its high-grade iron ore as Chinese steelmakers increasingly focus on higher productivity and lower emissions. Higher quality ore produces more steel for each tonne that is processed, and can reduce emissions as less coke is used in production. Commodity giant Glencore Plc defended working conditions at its mines in the Democratic Republic of Congo after an international labor federation said its employees are poorly treated and underpaid. The spat with Geneva-based IndustriALL, a global union federation that says it represents more than 50 million workers in 140 countries, comes as some of the world’s biggest companies, from Apple Inc. to Volkswagen AG, pursue multi-million-dollar deals for Glencore’s prized Congolese cobalt. Working conditions at Glencore’s Katanga Mining Ltd. and Mutanda operations violate workers’ rights and need to be improved, IndustriALL said March 22 in an emailed statement after representatives visited Congo in February. With his stock in freefall, First Quantum Minerals Ltd. chief executive Philip Pascall hopped on a hastily arranged conference call Wednesday morning to soothe investors about a surprise US$7.9 billion tax bill that Zambian authorities sent this week. Pascall rejected the US$7.9 billion figure — more than two-thirds of the company’s US$9.5 billion market capitalization. Still, Vancouver-based First Quantum’s stock was down much of the day, before surging 3.7 per cent to $18.65 at close on Wednesday, reversing a portion of the 13 per cent decline on Tuesday. 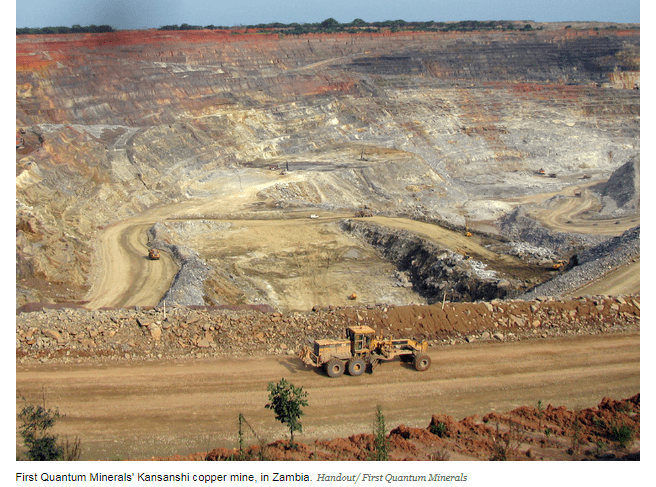 But the executive declined to describe the worst-case scenario for the copper producer, which derived 83.5 per cent of its revenue in 2017 from mines in Zambia and is hoping to develop a third mine in the country. The company said its annual tax payments to the country vary, but claimed it pays $200 million in annual royalties. 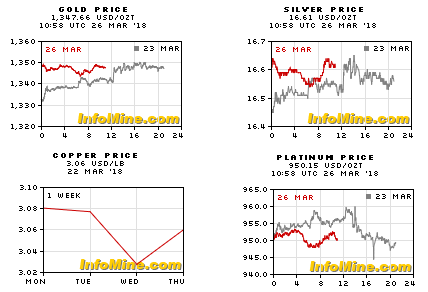 For now at least, Barrick Gold Corp. seems to have escaped a tax crackdown in Zambia that has embroiled fellow Canadian miner First Quantum Minerals Ltd.
That should be welcome news for a company whose news flow has been punctuated with controversy from Tanzania to Argentina and Chile. On Tuesday, First Quantum revealed that the Zambian tax agency reassessed its equipment imports over six years, demanding almost $8 billion in interest, penalties, and reassessment charges. Africa’s second-largest copper producer is planning to audit all mining companies operating in Zambia, which include units of Glencore Plc and Vedanta Resources Plc, as well as Barrick. 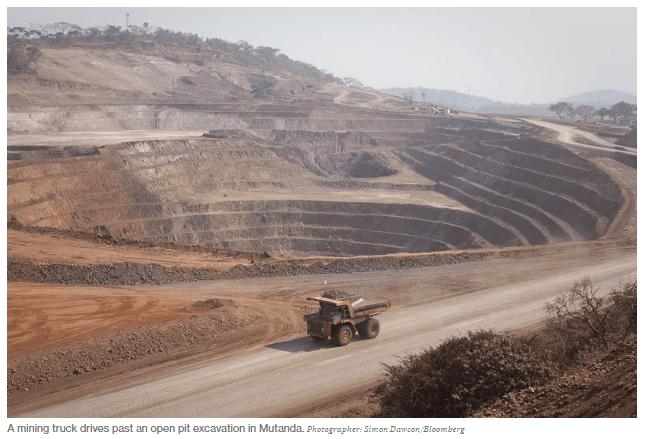 The Toronto-based company, which operates the Lumwana mine, hasn’t received any notifications from the tax authority regarding an audit or tax reassessment, spokesman Andy Lloyd said by email. “In Zambia, as in every country where we operate, our focus is on building long-term partnerships with our host governments and communities, based on transparency and mutual respect,” he added. 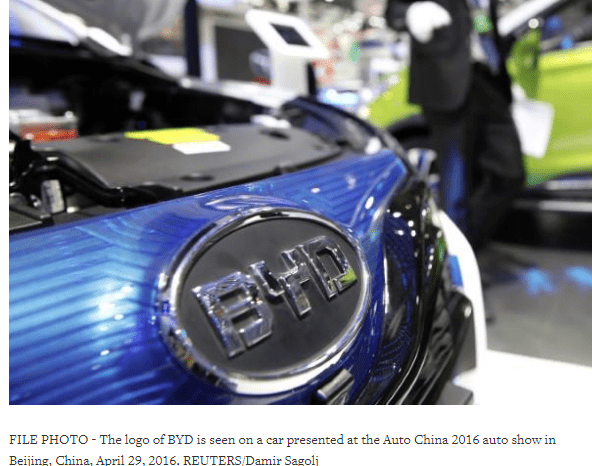 BEIJING (Reuters) – Chinese electric vehicle (EV) maker BYD Co will open a battery recycling plant in Shanghai in the second quarter as it looks to reduce raw material costs and help to address battery waste, a spokeswoman said on Wednesday. BYD has been building the plant and will hold a opening ceremony in April or later in the second quarter, brand communication manager Mia Gu told Reuters in Beijing. 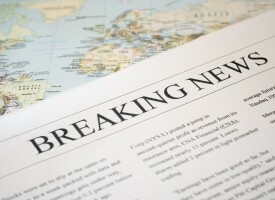 “The date is not yet fixed,” said Gu, who did not give the capacity of the plant or the amount of investment involved. 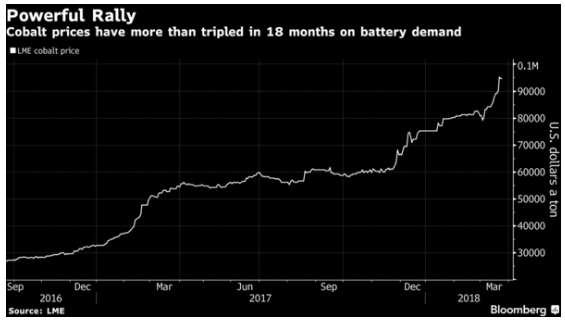 Rising costs of EV battery materials, such as lithium and cobalt, are part of the reason for BYD’s move into recycling, Gu said. “But the most important driving factor is environmental protection,” she added. Delegates at the Chinese parliamentary session that ended in Beijing on Tuesday said the first batch of EV battery waste will hit the market this year, with total battery waste expected to reach 120,000-170,000 tonnes a year by 2020. 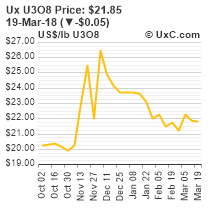 Russian miner Alrosa (MCX:ALRS), the world’s top diamond producer by output, has unveiled its synthetics detector, aimed at cracking down on dishonest suppliers that mix lab-made stones with mined diamonds. The portable machine, named ALROSA Diamond Inspector, screens polished diamonds and jewellery, identifying synthetics as well as treated stones or simulants. 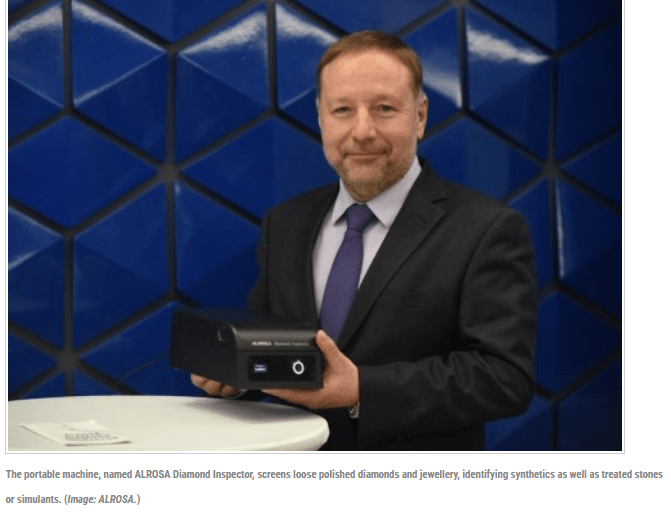 Alrosa expects the detector’s relatively low price and high accuracy will make it popular both in Russia and abroad. The company expects that its relatively low price and high accuracy will allow the detector to be in demand both in Russia and abroad. JOHANNESBURG (miningweekly.com) – Aim-listed exploration and development company Beowulf on Friday announced the preliminary drilling results for its latest drilling campaign at its Aitolampi graphite project in Finland. The company has completed ten holes and 1.57 km of diamond drilling. The longest hole drilled – AITDD18014 – was 235.3 m, and intercepted a total length of graphite mineralisation of 127.4 m, including a single intercept of 44.9 m. For this hole, mineralisation started 24.4 m from the collar. This hole also tested all three conductive zones including the north-western strike extension of the higher-grade parallel graphite zones intersected in hole AITDD17006 in last year’s drilling programme. In hole AITDD18015, the longest single intercept of graphite mineralisation was 99.4 m. Total hole length was 150 m and mineralisation started at 20.7 m from the collar. Beowulf reported that infill drilling had confirmed the continuity of graphite mineralisation between the holes drilled in the 2017 drilling programme. “Several holes proved mineralisation down-dip from graphite intersected in 2017 and intersected wide mineralised zones along strike and down-dip for some of the previously identified higher grade mineralised zones,” the company stated.